Fund Drive Special: The History of Socialism in the U.S.
Today as self describe socialist Bernie Sanders announced that he will seek the white house once again we are in conversation of the history of socialism in United States. Guest: Richard D. Wolff is Professor of Economics Emeritus, University of Massachusetts, Amherst. He is currently a Visiting Professor in the Graduate Program in International Affairs of the New School University, New York City. Professor Wolff host a weekly syndicated radio show, Economic Update, available also for broadcast on Free Speech TV. 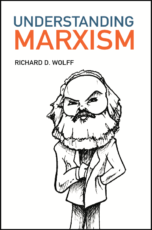 He is the author of several books including his latest Understanding Marxism. Support KPFA, Click Here to Donate!